On top of this, they also publish some brand new homebrew games for retro consoles. 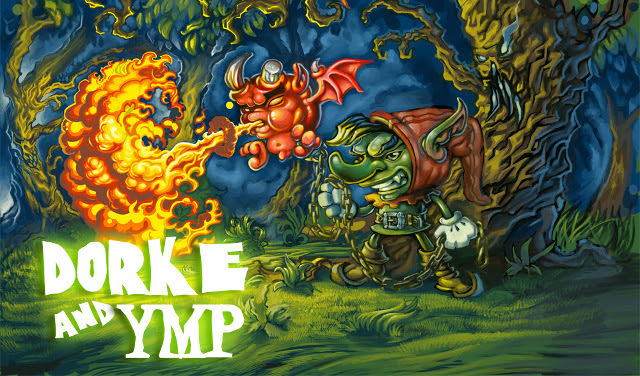 I first came across the company because they put out a game called Dorke and Ymp, which was a Swedish Super NES game that never saw a proper release until now. Interested in learning more about the project, I chased down Eleazar (Eli) Galindo, Founder of Piko Interactive, and spent a little bit of time chatting with him in December of 2015. Josh: I discovered Dorke and Ymp online somewhere, and the way the project came together was very interesting for me. So, this project was unfinished and kind of left to die for almost, what, twenty years? Eli Galindo: Yeah. 23 years I’d say? 22 years? Josh: I understand you chased down three members of the original development team, who were all in Sweden. Is that correct? Eli: They are all from Sweden, and it was just the programmer [Peter Waher], the music composer [Daniel Adler], and the artist and game designer [Jim Studt (Satrio Wijaya)]. Josh: And that was the entire team? Eli: Yeah, that was it. Josh: And you got all three of them back. That’s phenomenal. What were the complications that came up with tracking these people down, and trying to write code for a 20-year-old console? Eli: It wasn’t actually hard to find them. One of them had already posted about the game online, and that’s how I was able to find him. After I talked with him, he introduced me to the composer and the artist. Josh: So they’re still friends. Eli: Yeah, they still talk and I think they live around the same region in Sweden. So, you know, they were still in contact. After a while, after some investigation on their end to see if they could sort of like waive any claim they had on the game, they told me, “You know what? You go ahead and finish the game.” And we did some negotiation on what we would offer for the game, whatever was done. They sent me the source code, and when I saw it I was like, “Oh God, I don’t think we can really do anything with this.” It was incomplete, and the reason was the programmer lost all the actual game — he was actually pretty much finished when he lost it. So the source code they were able to recover was a backup the music composer had in one of their old Amiga computers. Josh: Oh wow. He still had that old computer, and still had the code? Eli: That’s how he found it. From there, we saw what options we had, and we decided to go for a mix of using the source code and at the same time ROM-hacking the game through the actual compiled ROMs that were available. That’s how we did it, and the game sort of came together. We added new content to be able to complete it because some stuff was completely gone, like the bosses and the boss fights and all that. So we did sort of our own version of [those boss fights]. Josh: I love that you decided to still go with the Super Nintendo cartridge release. That’s super cool. So, I assume they aren’t manufacturing these cartridges anymore, and I’ve interviewed people in the chiptune scene who were manufacturing DIY Game Boy carts and stuff. So I imagine you can still build them, but there’s not an official source for them anymore. How did you guys overcome that obstacle? Eli: We already were in the classic video game manufacturing scene by the time Dorke and Ymp came up to us. Basically, we did a Kickstarter back in 2013 to make a new homebrew Super Nintendo game, and we got funded. So that helped us get the PCB (the circuit boards) and the cartridge shells already. And then from there we did a couple of smaller projects, and now we’ve used those to launch Dorke and Ymp. So it wasn’t really hard on the physical side to make the Super Nintendo cartridges for Dorke and Ymp because we already had all the infrastructure for that. Josh: What was the Kickstarter project called? Eli: It was called Super 4-in-1 Multicart. It was four homebrew games, four indie games, in one cartridge. We got like $15,000 funded. With that, we were able to get the ball rolling. Josh: Do you plan on doing more Super NES stuff in the future? Eli: Yeah, I mean, upcoming we have two more games to add to our store. One game called Iron Commando, which was released only in Japan in very limited quantities. So if you want to buy the Japanese Super Famicom cartridge, you have to drop like 400 bucks. We bought the rights from the original developers and we’re going to do an English version for Super Nintendo — the American and European version. 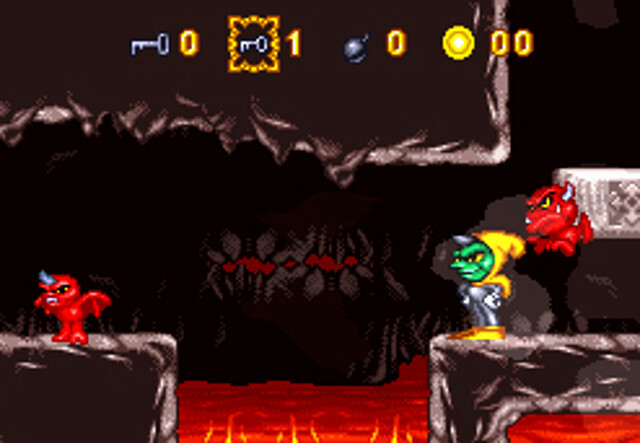 And then another unreleased game called Pinkie, which was a game that came out on the Amiga computer, the Amiga 500 or 600 — I can’t remember. It had an unreleased version for the Super Nintendo. And we do have upcoming original games that we will develop from scratch. It’s a niche product inside a niche market, so it’s hard to make a living off it. The reason we started with Super Nintendo, besides that it’s my favorite console, it’s because most of the other people who are doing new cartridge projects are doing it for Sega Genesis or NES. So it’s like, “Okay, no one’s doing it for Super Nintendo, so there’s something we can do and get a decent amount of sales.” I’ve been discovering that’s not the case, because the sales for Super Nintendo are not as good as I expected. They’re slowly coming in, but the retro gaming scene for Super Nintendo is more into buying rare games, and like expensive RPGs and collectibles, than a new game. However, for Sega Genesis and NES, it seems like [the homebrew scene] has much more support from a general retro gaming audience. Josh: And you’re also doing a Steam Greenlight project. Eli: We have [Dorke and Ymp] on Steam Greenlight, and hopefully it gets through soon so we can start working on the actual Steam Release and Steam trading cards and all that. Josh: You said that there tends to be a bigger scene for homebrew on the Genesis. 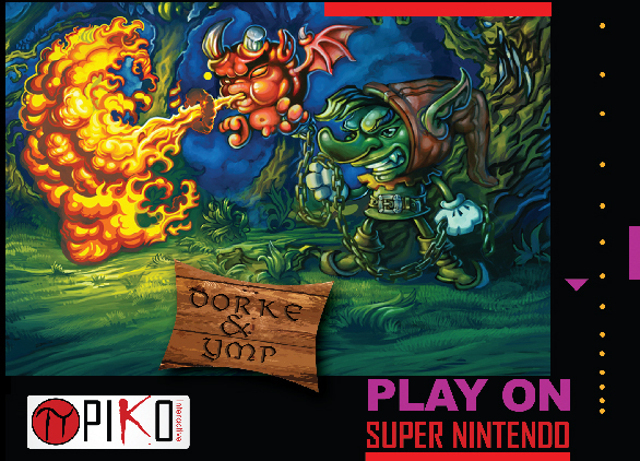 Do you have any intention to try out Dorke and Ymp on Genesis? Eli: I don’t know. We have a lot of projects in the pipes for Sega Genesis, like 10 games at least. We just released two of them, and we have 10 more, so I don’t want to overcrowd the Genesis scene. And it would be a little too difficult because the source code was in such bad shape and we did it through ROM-hacking. So let’s say 500 people email me and say, “Hey, we want Dorke and Ymp on Genesis,” then yeah, for sure, I’ll go ahead and start working on that. But it probably wouldn’t happen.